Buying an airplane can be a daunting task, but if you have a plan and follow it, the process can be a lot less intimidating. With that goal in mind, here are 20 tips for buying an airplane that will help you go from dreaming to owning. There’s no feeling that matches that of buying an airplane. If you’re like most pilots, you’ve spent months—and maybe even years—dreaming about the perfect airplane, what it’d be like and what you’d do with it. You’ve probably also come to the realization that purchasing an airplane is no easy task. But with preparation, the right knowledge and a little bit of luck, buying an airplane can be an enjoyable and rewarding experience. To help you become a satisfied and savvy airplane shopper, we’ve come up with our top 20 airplane buying tips. Whether you’re thinking of buying new or used, these nuggets of wisdom will help you forage in the wilds of aircraft shopping. 2 DECIDE ON NEW OR USED. Though the initial price of a new airplane may seem to make buying used a better choice, think again. Buying new allows you to pay lower interest rates on your purchase (rates usually are subsidized by the manufacturer), finance the airplane for a longer time, and enjoy possible tax benefits. New-airplane warranties allow you to calculate maintenance costs precisely and give you peace of mind for the first few years of ownership. Loans for new airplanes usually are easier to qualify for, and down payments typically are lower than for a used airplane. You may be surprised to find that, in some cases, buying new may make more sense than buying used. Profile: Anisa began flight training with the intention of buying a plane; she has a private pilot certificate. The financial business professional wanted something modern, safe and fast. She went directly through Cirrus to buy the SR22. Typical Mission: Business and pleasure; frequent trips under 1,000 nm. Why This Airplane: It met all her needs (nonstop flights between California and Idaho, strong IFR platform, four seats), and she was impressed by its comfort, safety and Cirrus Perspective avionics. Intended Vs. Actual Use: Very close. Prior to receiving her instrument rating, she used the plane mostly for pleasure; now, she also uses it for business. Best Flight: Summer trip from Boise, Idaho, to Albuquerque, N.M. There was incredible scenery, and the avionics provided great comfort in avoiding developing weather. Top Tips: Be familiar with what you want and need. Buy for your actual use, not some idealized use. Thoroughly understand the advantages and limitations of each option. 3 JOIN OWNER GROUPS. Owner groups are one of the best sources of information for prospective buyers of any aircraft, but few airplane shoppers ever think to join them before buying. A treasure trove of knowledge about everything from maintenance to pricing is available from these groups. Smaller groups have emerged that focus on single models within a manufacturer’s line. For example, there are Cessna, Cirrus, Piper and Beechcraft owner associations (and many more), as well as Bonanza, Duke and Skymaster groups—this is true for nearly every model out there. 4 CONSIDER LSA. Light sport is one of the brightest beacons in aviation. Many innovations appearing in standard-category aircraft are also embraced by LSA makers, including carbon-fiber composites, more efficient engines, automotive-type restraints and LED lighting. Companies like Flight Design, American Legend and others are making some of the most popular new aircraft, and now Cessna and Piper are in the market with the Skycatcher and PiperSport. Many of these new planes offer 2,000-hour TBOs, glass panels and all kinds of innovative safety features, all priced in the $100,000 to $150,000 range. 5 SET A BUDGET & STICK TO IT. This simple advice is one of the keys to avoiding buyer’s remorse. Too many pilots have a “rough idea” of what they want to spend, and then slowly ratchet up the number as they find prospective airplanes that are just beyond their financial target. Establish a hard-number budget; shop only in that range. Give yourself a realistic overflow number and stick to it—no matter what. ClassG.com: Greg Smith is a CFI and CFII based in Salt Lake City, Utah, with a background in finance and real estate. He learned to fly in 1998 and earned his master’s degree in business, then began forming an idea for a website that would allow users to go to a single source for aircraft research and comparisons. Today, that website is ClassG.com. Its most powerful feature is the ability for users to get specific information on a particular aircraft from different sources. That includes getting performance numbers, doing side-by-side comparisons and combining expert reviews and pilot reports—all in a single web portal. Visit www.classg.com. Buyaplanekit.com: The Buy A Plane Kit is a great place to start your aircraft search. When you sign up (it’s free), you’ll get all sorts of information, including a buyer’s guide on the proper way to buy, finance and insure your aircraft. You’ll also receive goodies like an owner’s guide from ASA, a carbon-monoxide detector and a free DVD from Sporty’s “Air Facts” series. The kit includes manufacturer contacts for requesting more information on a prospective aircraft, as well as tips on buying accessories like navigation software and headsets. Visit www.buyaplanekit.com. 6 DON’T GET EMOTIONALLY ATTACHED. Have you ever surfed the aircraft sale sites and fallen in love with one particular airplane? Unfortunately, this is a recipe for disappointment. Professional aircraft brokers recommend that you stay disconnected from any prospective airplane—yes, that’s easier said than done. Tell yourself, “It’s somebody else’s airplane.” This also holds true for factory-new airplanes. Be clinical, objective and precise. You can get all dreamy once the papers are signed. 7 ON DEMO FLIGHTS, VIGILANTLY MONITOR PERFORMANCE. This is especially true when buying a new plane. Remember, it’s a salesperson’s job to make you want the aircraft, so take his or her pitch with some skepticism. When the demo pilot is demonstrating the great climb performance, note the power settings and fuel flow: Maybe that climb rate will cost you in engine life or fuel. Compare what you see in the cockpit to the POH or manufacturer’s published numbers. Pay attention to cruise power settings and what speeds you’re seeing in the airplane that day. Timed speed runs between two or more checkpoints are very useful. Watch EGTs and fuel flows. What you’re seeing is the aircraft’s true performance, regardless of what the sales pitch says. 8 SPEED IS EXPENSIVE. DETERMINE IF YOU REALLY NEED IT. As pilots, our minds are hard-wired for speed. Owners will skateboard to China if it means a modification that will squeeze five more knots out of their airplanes. But do you really need that speed, and how much will it cost? GA research reveals that most single-engine piston flights settle into the under–300 nm range. Assuming no wind, a plane with a speed of 130 knots will traverse 300 miles in about two hours and 18 minutes. At 150 knots, the plane will make that trip in two hours—some 18 minutes faster. Buyers have to consider that those extra 20 knots will cost them 20% to 30% or more on the aircraft price, plus higher fuel costs, insurance and maintenance. Unless your travel distance is greater than 300 nm 90% of the time you fly, carefully consider whether extra speed is worth the added cost. 9 DETERMINE WHETHER “BUSINESS USE” WILL APPLY. Although the details should be discussed with your tax professional, airplane buyers can benefit from business use of their airplane. If you can legitimately apply “business use” deductions, then you can save a considerable amount of money—especially when buying new. Using an aircraft for business will allow you to apply depreciation and pay for use with pretax dollars, among other things. Consult with your tax professional: It could save you thousands of dollars. Profile: Youri is a professional money manager who recently fell in love with flying. After earning his private certificate at American Flyers, he rented at various FBOs for a month. He was turned off, however, by the way renters treated the aircraft, and he wanted something to accommodate his six-foot-five frame. He bought quickly, without a prebuy inspection, and wound up spending more on repairs than he paid for the airplane. Typical Mission: Solo or trips with his wife. He’s purchasing a vacation home in Big Bear and looks forward to flying there from Santa Monica (about 80 nm). Why This Airplane: Mooney’s reputation. The M20E was inexpensive but still fast; it’s also roomy enough for his six-foot-five frame. Intended Vs. Actual Use: Youri eventually realized the airplane was too small. It couldn’t accommodate his whole family and fuel for long trips. Additionally, maintenance was too expensive, and there were more repair problems than anticipated. Best Flight: All of them. There’s a sense of freedom, and the communion of man, machine and nature is incredible. Top Tips: Get an extensive and thorough prebuy inspection. Quantify your mission. Consider co-ownership. Few of us can afford to buy an airplane with cash. Even if we could, there are tax and other benefits we can realize by financing the purchase instead. The problem is that few airplane buyers understand the nuances of aircraft financing, let alone the process itself. When buying an airplane or helicopter, the biggest factor in financing isn’t whether the aircraft is new or used, but the amount financed. “Basically,” notes Haney, “the more you borrow, the lower the interest rate. It doesn’t matter if the airplane is new or used.” Buyers should know that “used” is more correctly termed “recently used,” since mainstream finance companies won’t lend on aircraft that are too old. • Amount: $50,000 and up is standard and yields the best rates. This doesn’t mean finance companies won’t lend less than that amount, but smaller loans are typically more difficult to get and are considered “specialty” loans. • Repayment Term: 20 years with no prepayment penalty is standard. • Liquidity: Aircraft are big-ticket items. As such, you’ll need not only a down payment but also enough cash (actual cash, checking or savings accounts) to show the lender you have the resources to back up the purchase (maintenance, depreciation, upgrades, additional training, etc.). Every lender we spoke with recommended that buyers get prequalified before shopping for an airplane. Being preapproved gives buyers the ability to be flexible and act quickly on a good deal when it comes along. Prequalifying usually is good for 90 days. Most aircraft lending is underwritten through banks that aren’t direct lenders. As a result, there aren’t a large number of aircraft-finance companies. Below are two finance companies that specialize in aircraft loans and are known in the industry. Both provide useful, pertinent information for prospective buyers, and both have a variety of financing programs. They have a long history in the aviation market and offer great resources for learning about or applying for aircraft financing. AirFleet Capital: Based in Leesburg, Va., AirFleet offers private and commercial loans for aircraft that range from single-engine pistons to large jets. The company has a long record of providing financing services to aviation. AirFleet is a partner with various airplane manufacturers’ programs. These include a factory-lease program through Beechcraft, manufacturer financing partnerships through Mooney and Piper, financing support of the Bell Helicopter 360 Ownership Program, and partnerships with I Fly America and the EAA. Visit www.airfleetcapital.com. Dorr Aviation: Dorr began as a Cessna and Piper dealer some 45 years ago. The Oxford, Mass.–based company has built a solid foundation in the aircraft-lending industry and is partners with AOPA, the Minnesota Business Aviation Association and Women in Aviation. Dorr offers online financing quotes, loan applications and a variety of lending programs for different types of aircraft. One unique aspect of Dorr is its belief in giving back. Dorr is affiliated with Freedom Alliance (www.freedomalliance.org), supporting our troops overseas. Visit www.dorraviation.com. 10 CREATE A “TRUE OWNERSHIP COST” SPREADSHEET. The romanticism of owning an airplane often clouds the facts. One of the best ways to realistically look at the true costs of buying an aircraft is to see the numbers on a spreadsheet, which can feature calculations for every variation of fixed and variable costs. 11 DO YOUR RESEARCH. Before you commit to a purchase, it’s essential that you know the plane’s history. The Internet makes researching a prospective aircraft easy. A simple search-engine lookup of the N-number will reveal vital information. Run the free lookup at report.myairplane.com (check all the report boxes). If buying used, order any FAA Form 337s on your prospective airplane; these will show major repairs and alterations. You can order these forms directly from the FAA for a nominal fee, or pay much more for a title and escrow company to do the work for you. You’ll need the N-number and aircraft serial number if you do it yourself. Order documents at aircraft.faa.gov/e.gov/ND. 12 GET FINANCING APPROVAL EARLY IN THE PROCESS. The reason for this is simple: the ability to act quickly. Whether buying new or used, it’s important to know what you can afford and what the bank will lend you (assuming you’re getting a loan for the purchase). Preapprovals allow you to concentrate on finding the right aircraft, and enable you to immediately make an offer when you do find it. A great buy can slip through your fingers if another buyer comes along while you’re busy trying to find financing. 13 LEARN ABOUT FACTORY INCENTIVES. There’s neither a magic bullet nor a simple website to put it all together for you. Dealer incentives aren’t always easy to locate, but the fact is that right now, and for the foreseeable future, it’s a buyer’s market in the aircraft world. Manufacturers issue incentives to get people to purchase their airplanes. The trick to finding these incentives is to establish a relationship with an aircraft broker, or to research individual manufacturers. This could mean phone calls or Internet searches. Dealers also will be happy to help you, so do your homework before you start shopping. Profile: Bob fell in love with airplanes as a kid. Because he was bedridden with a medical condition, he’d build airplane models to pass the time. When he learned about the LSA category, he decided to learn to fly. Because he has two artificial knees, the category fit his needs exactly. Salinas decided to buy an aircraft during training. Typical Mission: Recreational flying. He usually flies with an instructor, and he does a lot of short sightseeing flights that are less than 200 nm. Why This Airplane: Ease of cockpit access, wide doors and easy maneuverability with limited leg mobility. Economical and simple to fly. Intended Vs. Actual Use: Surprisingly similar. It’s a bit more pricey than intended but fits his needs exactly—especially physical accessibility. Best Flight: To Catalina Island. Bob had been scared by the “urban myths” about the airport, but he found Catalina to be great for a leisurely flight. Top Tips: Shop for an airplane like it’s a pair of shoes; the airplane has to fit the pilot. Be willing to pay a little more for exactly what you want. 14 CAREFULLY CONSIDER INSURANCE. Familiarize yourself with the differences between liability and hull insurance. Know that you can shop for insurance in two ways: through a broker who deals with several underwriters, or by shopping through the Internet. While the web is certainly convenient, professional aircraft dealers suggest that you use a broker. One reason is that, in the event of an accident, a qualified insurance broker will represent you and assist with the claim. Insurance purchased online won’t afford you that direct, personalized service. Buyers should arrange insurance early in the process. Get insurance quotes and learn about aircraft insurance through websites such as avemco.com. 15 USE VALUATION TOOLS. There are online sources for aircraft valuation, but most charge a fee. Valuation services accurately price a particular aircraft, based on several variables. The resulting value should be used as a general range when shopping for an aircraft. AOPA members can get Vref price guide information free at www.aopa.org/members/vref. Nonmembers can purchase valuation reports directly from www.vrefpub.com or www.aircraftbluebook.com. 16 CONSIDER SHARED OWNERSHIP. To put it simply, owning an aircraft with just one other person will cut all costs in half. Because most of us don’t use an airplane every day, or even every week, splitting ownership costs with a partner makes good financial sense. There are many flavors of shared ownership, from corporate structures to simple partnerships to fractional ownership. An emerging idea is that of “cooperative” ownership, where inexpensive aircraft are shared at both low-entry and low-usage costs. 17 FACTOR IN THE COSTS OF ACCESSORIES. Buyers frequently forget the cost of accessories when purchasing aircraft. These add-ons could significantly push up your final price tag. For example, that shiny, new, aerobatic-capable plane will require a couple of parachutes, which can easily cost up to $3,000 each. Avionics, safety add-ons and comfort features all add significant cost. Perhaps you’re outfitting a four-seater with top-quality ANR headsets for all passengers—that’s a $4,000 price tag. Accessories are great assets, but be sure to factor in the cost beforehand. Profile: Dean is a knowledgeable buyer who owned a Cessna Skyhawk and was flying about 200 hours yearly before acquiring his Meyers 200. He was looking for a fast airplane for frequent trips to see his family in Texas. One of his prime decision factors was safety. The Meyers he found was one of only 100 built and was owned by an 80-year-old who was the original owner. Typical Mission: Frequent flights from California to Texas; most with just two people. Dean didn’t want to sacrifice safety for speed. Why This Airplane: Nobody ever sells a Meyers. It’s a very safe airplane (no ADs issued on the airframe—ever). The aircraft was in excellent condition, and it fit his mission needs. Intended Vs. Actual Use: He flies more often than he did before his purchase. The aircraft fulfills his every need, and he considers it to be the perfect airplane. Best Flight: Flying to and around Nevada’s Black Rock Desert for Burning Man each year. He loves the remoteness and the adventure. Top Tips: Be patient, ready and prepared to “pull the trigger” when you find the right deal. 18 PERFORM A THOROUGH PHONE SCREENING BEFORE GOING TO SEE AN AIRPLANE. Buyers should do everything in their power to make sure the airplane you’re interested in is indeed the airplane for sale. Again, a simple search-engine lookup of the N-number will reveal vital information about the plane and the owner. 19 NEW AIRCRAFT, PREDETERMINE WHAT ADVANCED EQUIPMENT YOU’LL NEED. It’s a fact that newer fixed-gear airplanes are as fast as or faster than their retractable counterparts of the past. Though most pilots immediately think of “retractable gear” as a must for better performance, modern buyers need to rethink that stance. Fixed gear offers lower insurance and maintenance costs. Other performance features to consider are whether or not you’ll require icing protection (remember the “90% rule”), the level of protection, whether you’ll need pressurization or oxygen, the complexity of the avionics (fully integrated autopilot or a simpler version) and the level of battery backup you desire. Today’s airplanes are electronic marvels, but they eat energy fast. There are backup systems that range from a simple backup battery to dual independent electrical systems. Be aware of each option and the price tag it carries. 20 USE “ALTERNATIVE” SOURCES TO FIND YOUR AIRPLANE. Most people use the same resources when shopping for an airplane: Trade-A-Plane.com, Controller.com, Barnstormers.com, aircraft dealers, etc. But some of the best bargains can be found off the beaten path. Your local airport’s bulletin board is a great place to start; so are pilot gatherings and word-of-mouth recommendations. Sometimes a seller doesn’t even realize he or she wants to sell until somebody asks about buying the person’s airplane. Also, check places like eBay Motors (www.motors.ebay.com) and local newspapers. On the used market, agricultural publications frequently feature airplanes for sale at low prices. Scour forums dedicated to a particular type of airplane, since members usually take care of their airplanes religiously and can offer show-quality specimens. Working with a professional broker is another way to make sure you’re seeing everything on the market. An informed, prepared buyer and a motivated, honest seller are the dream combination in the airplane market. Whether you’re considering a brand-new factory airplane, a certified LSA or a gently used airplane, following a checklist of sorts in your quest will help you sleep better once the papers are signed and the keys are in your hand. “Off-the-cuff” buying decisions, shopping “till it feels right” and “letting the airplane find me” all sound good on paper, but are sure ways to experience regret after making a buying decision. Arm yourself as you would in any battle. Prepare, learn and have everything ready so that when the perfect airplane does appear, you’ll be ready to make the decision quickly enough to get a great deal. Purchasing an airplane is one of the most significant decisions you’ll make as a pilot. The Boy Scouts had it correct when they created their motto—one that applies equally well to buying an airplane: Be prepared. Looking for an affordable aircraft? Check out our 10 Cheapest Planes In The Sky. 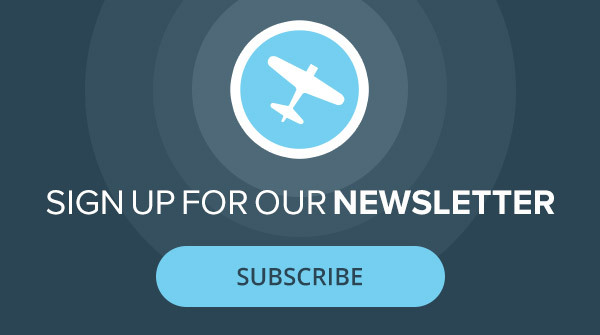 Get regular updates from Plane & Pilot! I have always wanted to own a plane of my own. It really is a big task, but it would be so nice to be able to take it up whenever I wanted. After buying the aircraft, do you need to learn to do any repairs right off the bat, or is it better to just go to a professional for everything? Do you include any repair tools in determining advanced equipment? That’s a good tip to get a plane that will meet your needs 90% of the time. A plane sounds like a big investment and you might not be using all of its features all the time. I bet airplane owners make sure to get good maintenance done on their planes regularly. Very disappointed in the loan process through AOPA. Despite having steady income, a significant net worth due to investment holdings and a credit score over 800, owning two rental houses was cited as “too much debt.” I make money off those houses. It’s absolutely ridiculous. I’ll have to sell stock and pay cash for my plane now. The bank is losing a solid, reliable customer. At least I’ll still get my plane. Otherwise, rent and enjoy in happiness. I recommend joining a small group to begin with. You’ll learn a lot and will always have knowledgeable folks to bounce ideas off of and develop with. It will reduce costs and yet general aircraft availability can still be very high if you get into the right group. I’ve owned and rented aircraft and the pros and cons of each need to be considered on their own merits. Ownership is great but then again you need to organise and pay for everything. 100% availability of your aircraft for you to fly when you want; costs significantly more than a group share or renting. Even if cost isn’t your main concern, renting can make a lot of sense if your probable annual hours are quite low. Even with current hourly rates, one still needs to fly a good 30 hours a year to compare with ownership from an operational outlet perspective, and even then, that doesn’t factor in the initial outlay for the aircraft. In terms of maintenance and repairs, unqualified owners can do relatively minor work (depending on the aircraft) but you really need to check based on your circumstances. If you’re not planning on flying much, then I recommend finding a good local aeroclub with aircraft that you want to fly, and go for the low hassle and peace of mind approach. That way, as you progress, you can either hire larger aircraft e.g. go from a PA-28 to a C182, or to a 6-seater and cost share and when the time is right, start thinking about ownership if you’re planning on being airborne sufficiently enough to justify it for yourself or group. Why would aircraft finance be any different in terms of financial risk whether you did it through AOPA or another route? If the risk is determined to be high by the organisation then try another. I doubt that this is restricted to AOPA but risk assessment in general. If it’s not, then I would have thought that your finance questions would be resolved quite quickly. Either way, flying is a pleasure and a privilege especially when the folks you meet along the way are so supportive and encouraging. I agree with Alex, Iv’e owned a/c & the costs are very expensive, I now belong to a aero club with an asortment of a/c which I fly reguarly & the savings are noticeable, no maintenance costs, no fuel bills, no registration costs, insurance 3.5% of cost, no 25/ 50/100hour checks & so on, I take the plane i wish to fly pay the aero club hourly rate including fuel ( which is reasonable for club members) i bring it back & I forget about it, it gets cleaned etc until the next time I use it or I may choose to fly another type, which is good because you are not stuck with one type of a/c, I believe you should fly a variety of a/c & this is the best way to do it. Also you meet a lot of other nice members to go flying with & you can share cost if you wish. Think about about it seriously! I like how you mentioned making sure you have a credit score of 700 or higher when you’re looking to buy an airplane. I’m learning more about airplanes because my husband is interested in getting one. If we do buy a plane, I’d probably hire a professional to make sure it’s been inspected before buying it. I love flying planes and am planning to get my ppl shortly. I want a plane with a long range (New York to Los Angeles), medium cost and a great flying experience. which plane suits me the best? How do you research aircraft that have recently had changes in tail numbers?